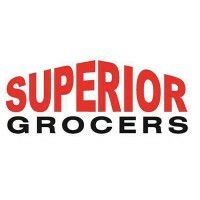 Superior Grocers is among Southern California’s largest independently-owned grocery store chains. Its company philosophy is delivering products with the best quality at the most affordable price. The first Superior Grocers store was opened in 1981 in Covina, California. It was founded by Mimi Song, who is the company’s current chair and CEO. The company now operates more than 45 stores all over Southern California with more than 5,000 employees. It has grown so much that it became a featured retailer in Fullerton, at one of the Illuminators networking dinner. Employees receive great competitive benefits and salaries packages. What’s more interesting is the structured training programs that aim to help associates to grow and gain better understanding about the brand and the company’s culture. People enjoy working at Superior Grocers because it treats everyone as a family. They hire locally and provide many career development opportunities. Employees have the chance to move between departments to pursue other interests. How old do you have to be to work at Superior Grocers? Most of the entry-level jobs require at least 18 years old. Some jobs require older applicants. Check the requirements indicated by the job postings for guidance. Fulfilling careers opportunities are available at this company. The job positions up for grabs can be for store operations or warehouse operations. The currently available jobs are mostly entry-level. There are a few job postings on store positions requiring managerial capacities. Receiving Clerk: The core duty of the Receiving Clerk is to maximize the store’s sales potential. This is met by implementing proper, effective procedures in receiving all products that enter the store. This position is also responsible for organizing the back room and keeping it clean. Working the back stock and delivering excellent customer service are part of the job. Bakery Clerk: Cleanliness and sanitation are implemented by the Bakery Clerk. Daily duties include making sure that tables, cake case and pastry cake presentations are clean and attractive. Other duties include checking that the product pricing are being followed. Great, clean food from the store’s bakery depends on the good performance of the bakery clerk. Warehouse Clerk: The Warehouse Clerk is vital in smooth day-to-day operations in each store. This job palletizes merchandise that will be sent to customers. The warehouse is kept clean and orderly, running things smoothly to fulfill customer demands and expectations. Any damage or unsafe conditions resulting from normal daily operations must be reported to the direct supervisor immediately. DDF Clerk: The main responsibility of the DDF clerk is to maintain a neat and well-organized department stocks. Expiration dates are checked and monitored regularly to ensure proper and efficient daily rotation of all the store products. This is an important position in delivering excellent customer shopping experience, which secures the financial success of the store. Decorator: This job decorates baked goods following the company’s specifications. This is important to keep all the store’s baked goods fresh and of high quality every day. The decorator will be working with a production list, given on a daily basis. The decorator’s duties is vital to the achievement of the store’s financial success. Meat Wrapper: All products in the meat department will be received, weighed, stored, wrapped, priced, rotated and merchandised by the Meat Wrapper. The primary duty is to ensure that all the meat cases are always stocked with high quality, fresh seafood, poultry, beef and pork products. Meat Cutter: All pork and beef primal must be properly merchandized in accordance to the company’s standards. This is the core duty of the meat cutter. This job ensures that the store’s meat cases are stocked well with fresh and high quality meat and seafood products every day. Meat Service Clerk: This position makes sure that the store’s meat display cases are always well stocked with quality meats including seafood, poultry, beef, and pork products. The main focus of the Meat Service Clerk is to make sure meats and meat products are always of top quality and fresh. Leader: This will be managing the inventory, pricing integrity, in-stock position, labor, and merchandising processes. The Leader ensures that all these operational processes are according to the company standards. Every day cleanliness and sanitation are expected to be carried out by the leader. Head Cashier: The whole front-end activities are managed by the head cashier. This position is responsible for an orderly front-end and great customer service. Cashier breaks are monitored, as well as the dress code and timeclock issues. The Head Cashier also contributes to delivering excellent customer service. Online applications are available for various positions in the company. Current openings are for store positions and warehouse positions. These are a mixture of entry-level positions and managerial positions. Application is available online for most of the job positions. Some stores may accept walk-in applicants for some of the entry-level positions at the store and/or at the warehouse. The applicant must first create a talentReef account to have access to the application form. Use this account to log in. Once logged in, fill in the required fields with accurate information. The resume should be comprehensive but concise. It should contain all vital information such as skills and qualifications for the job applied for. It should highlight strengths that can help with the job’s duties. The interview is the opportunity to show passion for customer service and dedication to getting the job responsibilities done right. Be smart, professional and engaging when answering questions. The company’s culture is about building strength from within. Diversity is embraced within its employees, and serves to help build a fulfilling career. The company also invests in the community by serving everyone equally with respect and care. Superior Grocers is active in community and social efforts. One notable news is more than $1 million of proceeds from the annual golf tournament with a non-profit organization was donated to various local schools and programs. The company is known as a local store that believes strongly in the power of the community. They offer value-for-money everyday items to customers with excellent customer service. They operate with the core values of Service, integrity, passion and excellence. The company is active in helping out the community through various programs and partnerships. This includes the American Cancer Society, City of Hope, CGA Educational Foundation, Alliance Charter Schools and the National Guard Youth Foundation, among many others. 1 How old do you have to be to work at Superior Grocers?